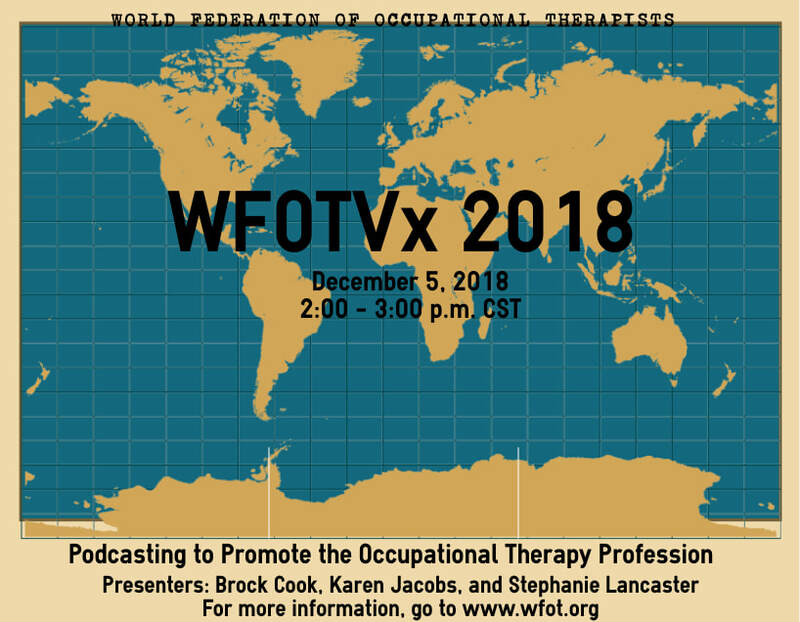 I recently had the opportunity to present alongside fellow occupational therapists and podcasters Brock Cook and Karen Jacobs for the World Federation of Occupational Therapy's Virtual Exchange 2018. Brock - who hosts the podcast Occupied - and Karen - who hosts Lifestyle By Design - and I talked about our motivations for creating a podcast, our experience as podcast hosts, and our goals for the future for our podcast platforms. The presentation was recorded and is available below. 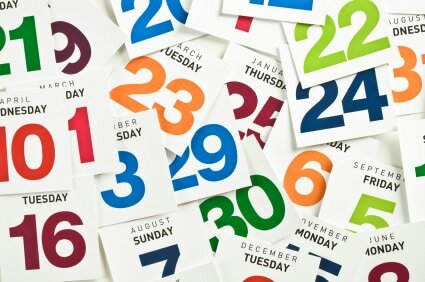 "When not interfered with by outside influences, everything nature does, is done with perfection. Yet my son, Shay, cannot learn things as other children do. He cannot understand things as other children do. The father continued. "I believe that when a child like Shay, who was mentally and physically disabled comes into the world, an opportunity to realize true human nature presents itself, and it comes in the way other people treat that child." "One day not too long ago, Shay and I had walked past a park where some boys Shay knew were playing baseball. Shay asked, 'Do you think they'll let me play?' I knew that most of the boys would not want someone like Shay on their team, but as a father I also understood that if my son were allowed to play, it would give him a much-needed sense of belonging and some confidence to be accepted by others in spite of his handicaps. Shay struggled over to the team's bench and, with a broad smile, put on a team shirt. I watched with a small tear in my eye and warmth in my heart. The boys saw my joy at my son being accepted. In the bottom of the eighth inning, Shay's team scored a few runs, but was still behind by three. In the top of the ninth inning, Shay put on a glove and played in the right field. Even though no hits came his way, he was obviously ecstatic just to be in the game and on the field, grinning from ear to ear as I waved to him from the stands. In the bottom of the ninth inning, Shay's team scored again. Now, with two outs and the bases loaded, the potential winning run was on base and Shay was scheduled to be next at bat. At this juncture, do they let Shay bat and give away their chance to win the game? Surprisingly, Shay was given the bat. Everyone knew that a hit was all but impossible because Shay didn't even know how to hold the bat properly, much less connect with the ball. However, as Shay stepped up to the plate, the pitcher, recognizing that the other team was putting winning aside for this moment in Shay's life, moved in a few steps to lob the ball in softly so Shay could at least make contact. The first pitch came and Shay swung clumsily and missed. The pitcher again took a few steps forward to toss the ball softly towards Shay. As the pitch came in, Shay swung at the ball and hit a slow ground ball right back to the pitcher. It appeared that the game would now be over. The pitcher picked up the soft grounder and could have easily thrown the ball to the first baseman. Shay would have been out and that would have been the end of the game. Everyone yelled, 'Run to second, run to second!' Catching his breath, Shay awkwardly ran towards second, gleaming and struggling to make it to the base. By the time Shay rounded towards second base, the right fielder had the ball. The smallest guy on their team now had his first chance to be the hero for his team. As Shay rounded third, the boys from both teams, and the spectators, were on their feet screaming, 'Shay, run home! Run home!' Shay ran to home, stepped on the plate and was cheered as the hero who hit the grand slam and won the game for his team." Years before I went back to school to get a Master's degree in Leadership & Policy Studies, a colleague of mine told me that she had been asked by her faculty advisor as she completed her Master's degree what her one big take-away had been. 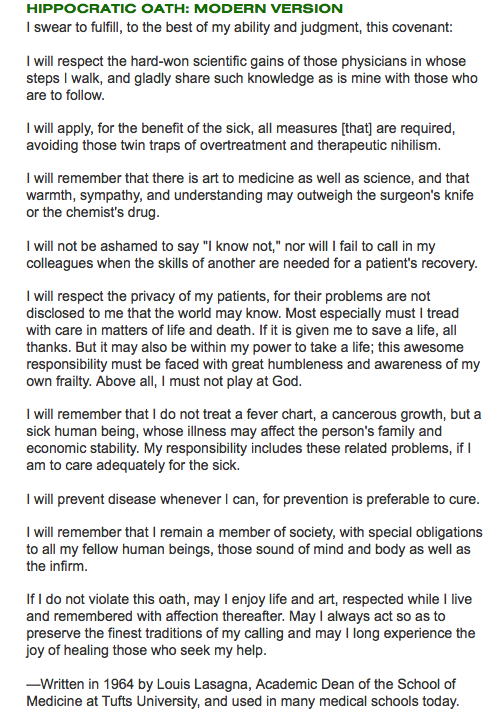 Her response, she said, had been that it's important to read the foreword in a book. In all honesty, I didn't see the value in the behavior she recommended at the time of our conversation; it wasn't until years later that I discovered the wisdom in her words. Something else that exchange did for me, though, was to serve as a prompt during my own graduate studies, and, upon earning my Master's degree several years later, I identified my own big take-away: There is great value in the process of reflection. Since I began teaching occupational therapy students, I have been interested in how, when, and why they reflect and how that impacts their learning. Over time, what I have noted is that there is great variability in the methods of instruction in and in the expectations and evaluation of reflective writing. 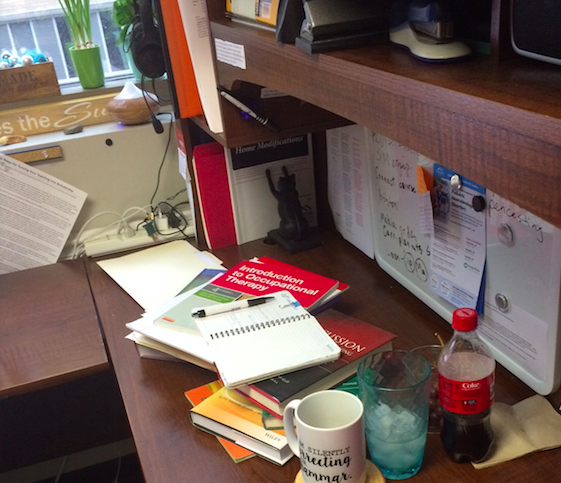 In fact, “the widespread espousal of reflection as a key to effective learning has meant that its meaning is assumed to be obvious to all” (James & Brookfield, 2014, p. 26); however, in the midst of the multitude of methods of delivery and expectations associated with this teaching and learning technique, only infrequently are students provided with structured and distinct instruction about the process of reflective writing (James, 2007). 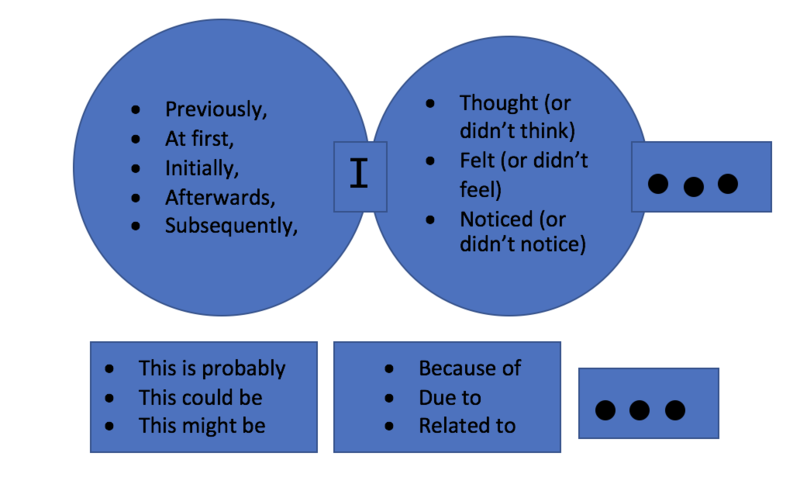 Following is a series of diagrams that serve as a breakdown of the possibilities for wording - or a DISSECTION of a REFLECTION. 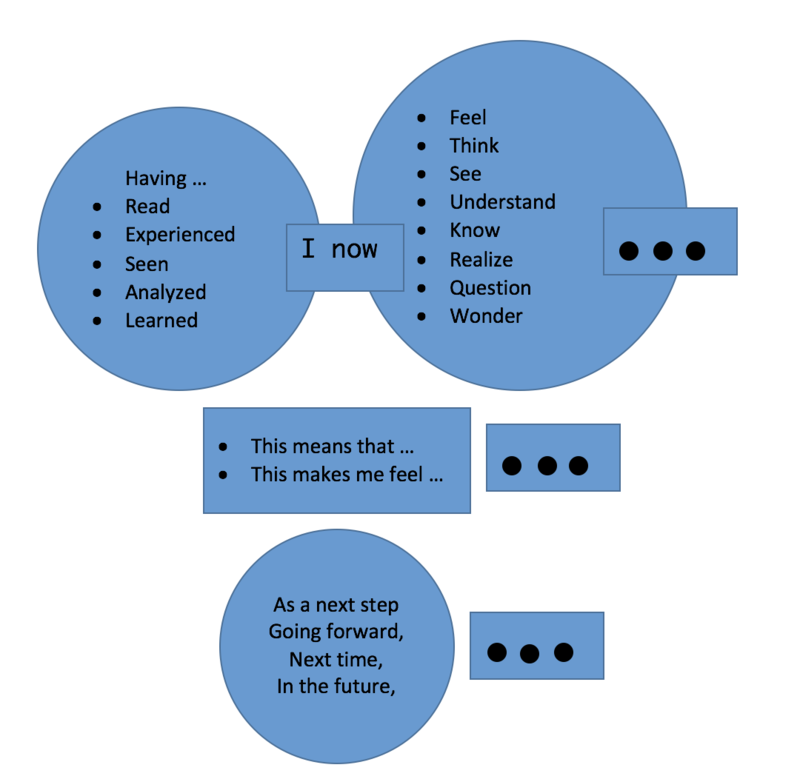 Each of the 3 big rectangles represents one of the major components, and the phrases in the other shapes are meant to serve as prompts in the writing process. 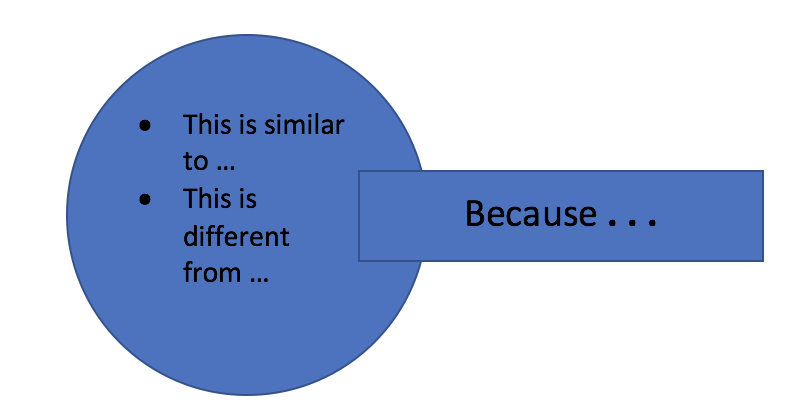 Please note that this is just one way to structure reflective writing; there are other ways, and you may be required or you may choose to follow a different model. Please remember, though, regardless of the format you choose, that there is great value in reflection ... and that, like many other things in life, oftentimes what you get out of this process is directly related to what you put into it. Wald, H. S., Borkan, J. M., Taylor, J. S., Anthony, D., and Reis, S. P. (2012). Fostering and evaluating reflective capacity in medical education: Developing the REFLECT rubric for assessing reflective writing. 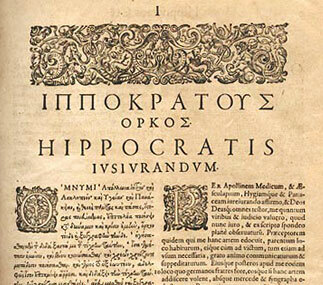 Academic Medicine, 87(1), 41-50. Earlier this week, a screening of the film Unrest was held for students and faculty in occupational therapy education programs. 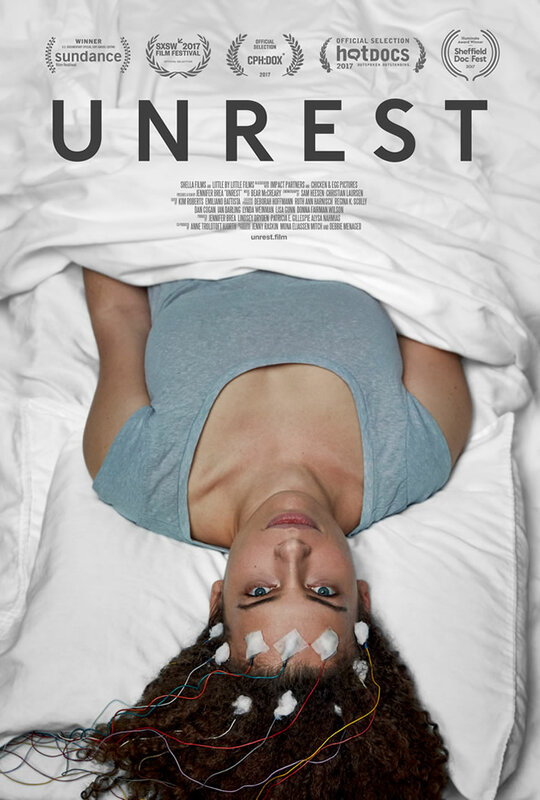 The film, a documentary by Jennifer Brea, tells the story of several individuals diagnosed with myalgic encephalomyelitis, or ME, which is often referred to as Chronic Fatigue Syndrome. The film has won awards at Sundance and other film festivals. ​I first learned about Unrest about a year ago through conversations on Twitter, and I reached out through the film's website to inquire about hosting a screening on campus. A few months ago, I got an email from a member of the screening team with whom I corresponded to work out the details leading up to the screening event. 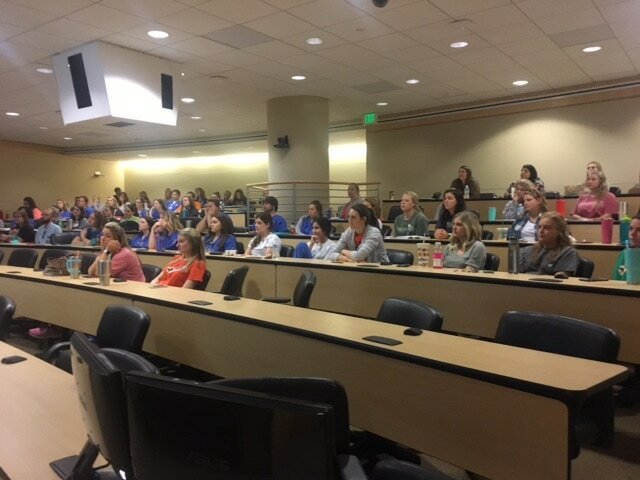 In addition to the occupational therapy students on the campus where I teach, an invitation to attend the screening was also extended to occupational therapy assistant students at another institution in the area, and several of those students attended the event as well. After the film was shown, I asked the students to consider sharing what their big take-away was, if anything had surprised or really struck them from the film, and how what they saw might have impacted their ideas as a future OT practitioner. Several students made comments about how disheartening and frustrating is it that the stigma surrounding conditions like ME serves as such a huge barrier in our society, both for the individuals diagnosed and their caregivers. The resiliency of the people in the film impacted the viewing audience at the screening, as did their apparent drive for purpose and meaningful connection, both of which are intertwined with occupations and the philosophy of OT. We agreed that there were a number of memorable quotes in the film, including the comment Jen made about there being such a difference between being alive and living - again, another point that really resonates with occupational engagement. One student noticed that there was a line in the movie about spoons, a concept that relates back to The Spoon Theory, which we discussed in a course the students took last spring. Finally, the comment was made that it isn't just those diagnosed with ME that may feel disconnected, stressed, or depleted: Caregivers are also likely to experience these things and many other emotions, and this is an area in which there seems to be a place for occupational therapy to play a role. A couple of images from the documentary that students said will stick with them as they continue to work towards entering the field of occupational therapy come from the scene in which Omar is struggling to get Jen back into their house after the rally and the footage of the shoes from the protest. 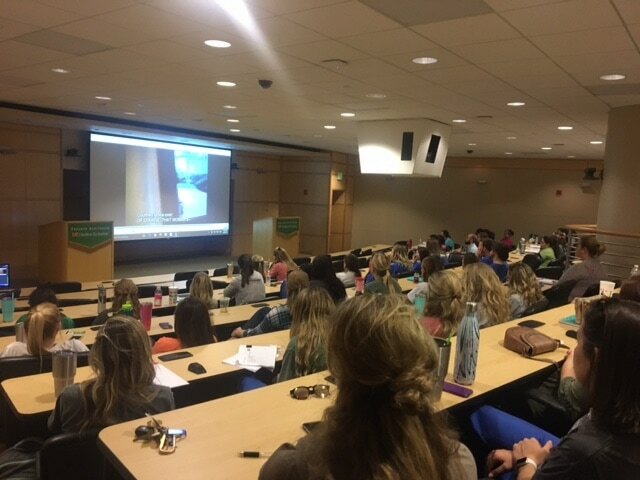 In conclusion, the OT students and faculty enjoyed learning about ME and related topics through the viewing of this documentary, and we recommend that all healthcare practitioners and students watch the film. I love it when I come across something that - on the surface - seems to have nothing to do with occupations or occupational therapy but that - when I really think about it - has some sort of connection. This musical track, entitled Years, has a really cool back story that I think connects to the lives of the clients we are privileged to come to know as occupational therapy practitioners and, as I am in my current role, OT educators. This music is played on a record player that was specially designed to play slices of wood. 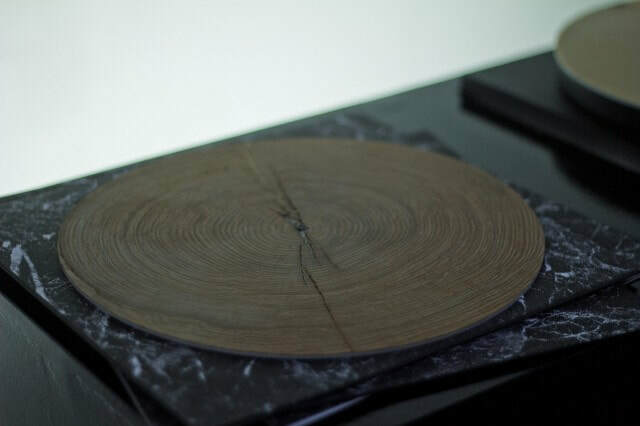 When a circular horizontal cut of a tree is placed on the turntable, the rings, which represent years of life for the tree, are translated into music. Like humans, the music that results from each slice is unique. As part of the coursework I am completing as a student in pursuit of my doctorate in instructional design and technology, I have created an interactive instructional unit for OT students and practitioners about using LinkedIn. Click on the button below to access the unit.